Born with perfect vision, he has retinitis pigmentosa, which caused his vision to deteriorate from age 9; by 22 he was entirely blind. Goyal was born and has lived most of his life in Mumbai, India. He coped with this adversity by focusing his energies in excelling at academics. 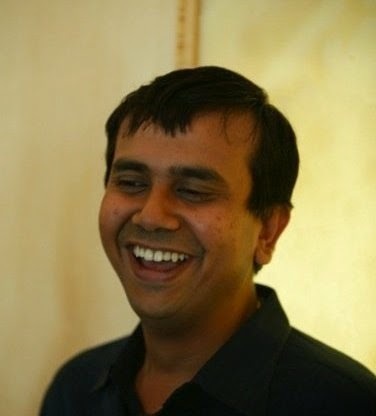 Ashish is an MBA graduate from the Wharton Business School, Philadelphia. (World's top ranked university). Goyal, who now lives in London, was also the first blind TRADER at J P Morgan, and possibly at in any bank anywhere in the world.He is now portfolio manager at J P Morgan’s Chief Investment Office. Goyal uses screen-reading software to check his e-mail, read research reports and look at presentations. When he needs to read graphs, which the software cannot do, he goes through the data and tries to imagine the graph in his head. A trader at JP Morgan Chase in London, Ashish helps manage billions of dollars of the bank’s exposure to risks like foreign exchange fluctuations.